For twenty years we’ve been Brighton’s most popular and trusted guide to the city – first as a printed magazine, now as a website. We cover all aspects of Brighton life, from gigs and clubs to culture, fashion and food. We feature the city’s best events to keep Brightonians and visitors up to date. Please get in touch if you’d like a media pack or have any questions. 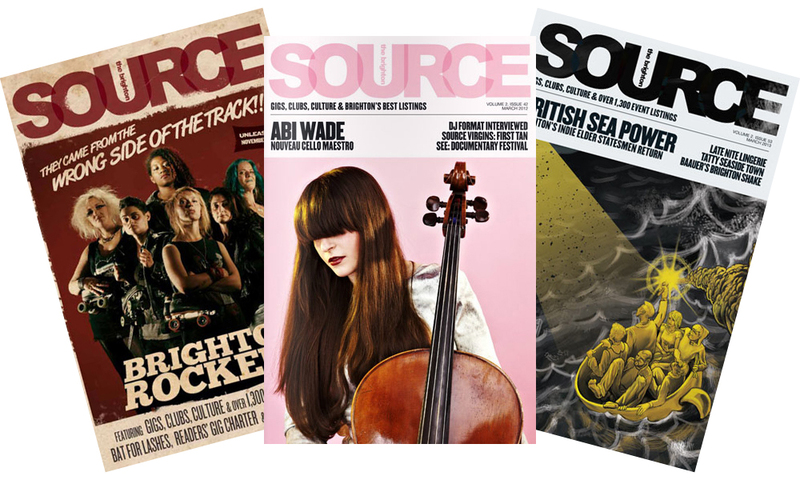 SOURCE is the first port of call for finding out what’s going on in Brighton and beyond – both for people from the city and visitors. We post daily content on anything that’s interesting and new – be it a local band, the launch of a new bar or a preview of an upcoming festival. It’s all topped off with competitions, regular music reviews and features by nationally recognised writers and photographers.